Celebrate life's best moments with this elegant trio of cava - the iconic sparkling wine of Spain! 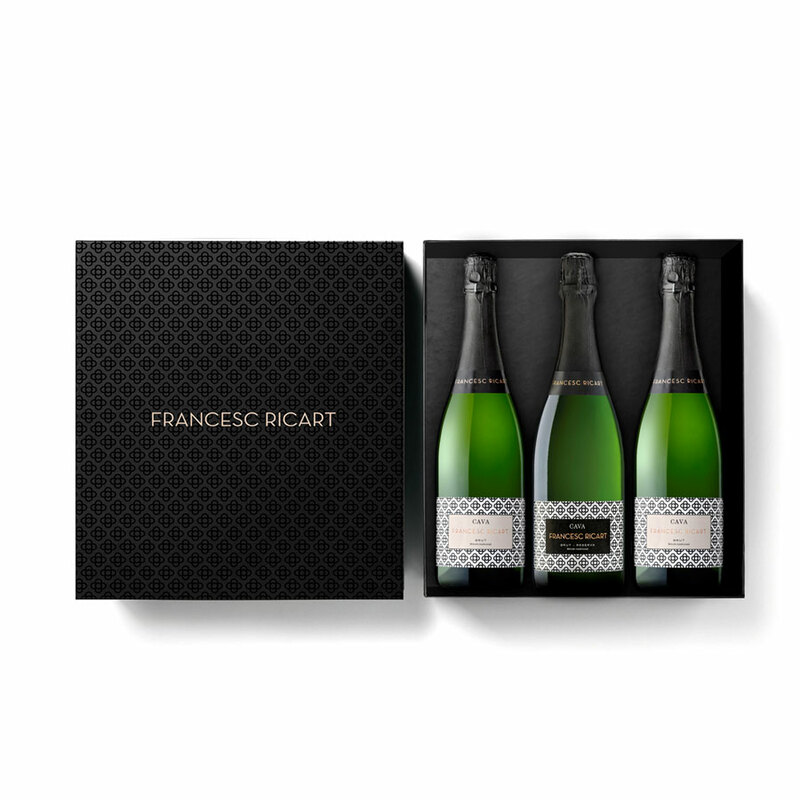 The cava collection made by Vintae is named after Francesc Ricart, an essential figure in the history of the company, a pillar of our evolution and our personality. The wines are made following the Traditional Method in the most representative area of the DO Cava, the region of Penedes and Sant Sadurní d´Anoia. A careful selection of the best Xarel-lo, Macabeo and Perellada local varieties and a meticulous winemaking process -the second fermentation and the subsequent ageing take place in the bottle- are the basis of these cavas. Francesc Ricart respect the essence of the tradition and brings as a result fresh and easy-drinking wines. Straw yellow color with golden hints. Very pleasant in the nose, power but fines aromas, fruity aromas and slightly hints of aging. Fresh and persistent on the palate, with some toasty aromas and citric reminders, full and complex.